We interviewed artist Kevin Mazeski, NBC graphic designer by day, instagramer by night, and our September 2017 Artist of the Month. We discussed topics ranging from how he came up with his unique username, kevinkilljoy, to what messages he wishes to send to his viewers. Read on to learn more about Kevin, the artist behind the screen! Kevin here! Born and raised in Queens NY. From 10-7ish I’m a Senior Designer at NBC specializing in print campaigns for TV shows. As any designer knows, at times personal work is the last thing anyone wants to do after working all day. I struggled with this concept prior to deciding that an Instagram post was the easiest/least I could do, which resulted in the aesthetic and content I now post. It’s always been art in one form or medium. I’ve always been creating, starting in fine art, and then finding my way into graphic design. I went to FIT for Graphic Design and started as a designer at Condé Nast falling under DETAILS magazine. What inspired your Instagram username? KevinKilljoy! Are you ready? Ok, SO, My Chemical Romance (RIP) was/is my favorite band, and when I signed up for Instagram, they had just put out their album “Danger Days: The True Lives of the Fabulous Killjoys”. As any fan boy would, I included “killjoy” in my handle. I’ve toyed back and forth about changing it to be more “professional”, but I think at this point, it’s safe to say that it will “carry on”, as I not only like the playful nature of it, but it also reminds me of where I started. What are your favorite activities outside of your artistry? I’ve recently started to build furniture, mostly because it’s cheaper, and slightly because I couldn’t quite find exactly what I wanted when I last moved. If I can’t find what I want I usually try to make it; that’s an overarching theme with me. Thus far I’ve made an entertainment center, dining room table, benches, and a few other things held together by a prayer and an excess of nails. I think I enjoy being away from the computer and getting my hands dirty in a more tactile process, similar to my fine art days. I’m equally obsessed with all things plant related. Oh man this question is brutal because my answer is everything and everyone–it changes by the hour. I’ve always really appreciated Basquiat, Yayoi Kusama, James Turrell, Matisse, Dan Flavin, and Jeff Koons. I’ve always been fascinated by pop culture and nostalgia, so I think that’s where a lot of my references come from. For example, the Lil’ Kim and Lisa Frank sculpture. Do you ever sell your art or do commissions? I’ve recently become aware via the amount of DMs I’ve been receiving that I should start selling my work. I started this just as a way to motivate myself and produce personal work beyond my day job, so receiving such inquiries have really blown me away. I am beyond grateful for the support and more than anything I’m happy that others appreciate my work as much as I do. As a lover of interior design, and knowing what others’ art does for me and my home, it’s wild knowing someone thinks that way about my art and will allow it to be in their home/safe space. Oh man, I’m working on a few things at the moment. I have a tremendous stream of conscious noted on my phone that I keep adding ideas, whether in full or in fragments. I constantly pull from it and combine [ideas] when starting a new piece. I’d say overall. I’m trying to see how far I can go with the sculptures and coffee cups. I’m slowly but surely tying to incorporate a wider color pallet beyond pink & blue–just recently using red for my Louis Vuitton x Supreme NYC coffee cup. The goal is trying to make the most impact with the least modification. I’ve also really enjoyed combining two ideas in one, similar to what I’ve done with the disco ball globe. On the horizon, I’d really enjoy bringing some of them to life in actual 3D. What kinds of message(s) do you want to send to your viewers? If anything, just a different way to think; using what you have and just seeing where it takes you. Not everything has to make sense or have a larger purpose than what it currently is. “Why not?” is also something I ask myself a lot to avoid over thinking (which comes far too easy for me) or before throwing out an idea I at first think might be stupid. Cactus and globes? Why not?! Any place is my favorite place as long as I have headphones. Music puts me in a trance and I totally forget where I am and how many hours have passed. I will say though I’ve found if I design in places I’m not so comfortable in, the work becomes slightly more interesting. The thought that something should appeal to everyone; not everything has to appeal to everyone, nor should it. I’d rather someone really hate [my work], for someone else to really love it. Details, details, details. If you’re going to do it, do it. Oh, and instagram eating up all of my resolution. Hit me up- I’d love to hear from you & enjoy meeting fellow creatives! I really appreciate the feature and honored to be your September #AOTM. 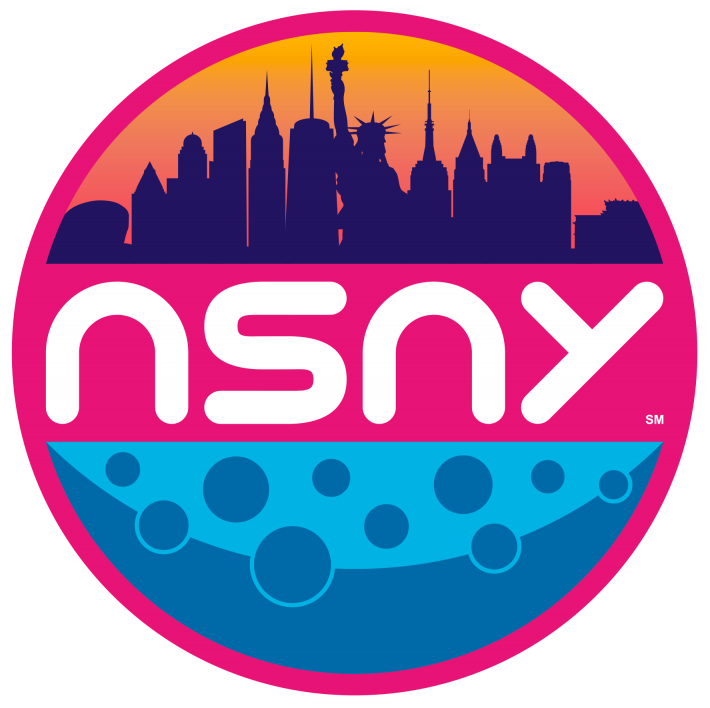 You guys at NSNY are doing a fantastic job and it’s great to see other artists hustling & creating beautiful art. Thanks Kevin! To view more of Kevin’s work, check out his website and his instagram to keep up to date with his artistry!